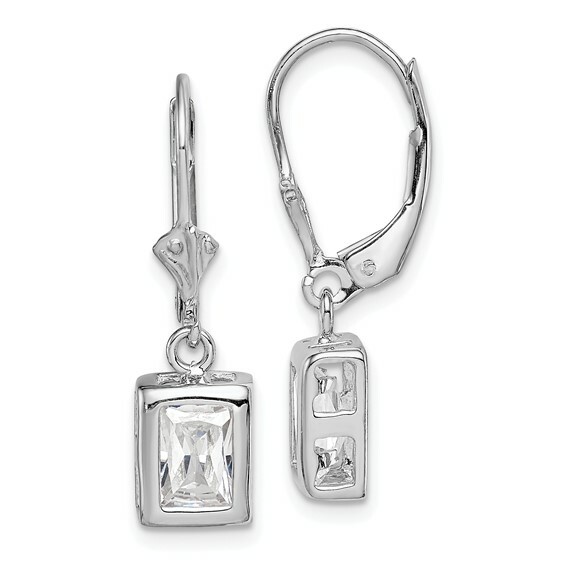 Emerald cut cubic zirconia leverback earrings is made of polished sterling silver. Cubic zirconia size: 7mm x 5mm. Earring length: 1in. Weight: 2 grams. Made in the USA.